Brian Kappel is a versatile litigator who learned from some of the best. 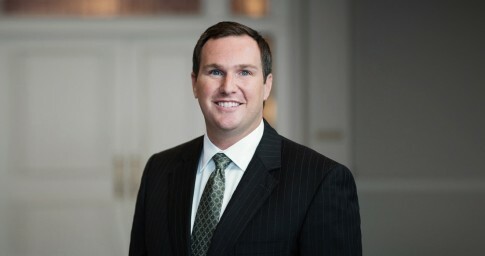 Brian cut his litigation “teeth” at Lightfoot alongside some of the best trial attorneys in Alabama — and he applies that knowledge every day in his cases. Clients value Brian’s individualized attention, creative thinking and ability to efficiently find solutions for thorny problems. With his business and commercial litigation practice, Brian regularly represents companies involved in all manner of contract disputes. He also defends companies against antitrust, complex class action and product liability claims. Additionally, Brian defends his corporate clients against a variety of employment-related matters, including those involving Title VII, the Equal Employment Opportunity Commission (EEOC), the Age Discrimination Employment Act (ADEA), the Americans with Disabilities Act (ADA) and similar statutory claims under federal and state law. Brian has particular experience representing retailers and chain stores in investigating, defending and quickly resolving discriminatory practices claims. Beyond his business and commercial work, Brian also represents institutional and individual clients with collegiate sports and NCAA compliance-related issues. Drawing on his personal experience in collegiate and professional sports as an Academic All-American baseball player at Princeton University and Minor League relief pitcher, he counsels institutions, coaches, administrators and student-athletes involved in or affected by NCAA investigations. In this role, he has assisted and directed internal compliance investigations for multiple NCAA institutions. Brian also has experience in interpreting NCAA legislation and advising clients on appropriate responses to violations of NCAA rules, including the scope and implementation of penalties. When necessary, Brian defends his clients throughout the entire enforcement process, including before the various NCAA Committee on Infractions. Brian’s NCAA clients rely on him for strategic advice that goes beyond the specific legal issues in play, often touching on ancillary topics such as media and public relations. In his free time, Brian enjoys running with his golden retriever, playing golf and, whenever possible, taking in a baseball game. His most important role is as husband to wife Ashley and father to Olivia, James and Beau. Obtaining the dismissal of a lawsuit against a national provider of railroad services in a case involving claims of negligence in connection with a rail car inspection. Obtaining summary judgment in favor of an Alabama-based division of a national business in a lawsuit brought by a former employee who claimed he was terminated in retaliation for exercising his rights under the FMLA. Obtaining summary judgment for an employer in a case filed by a then-current employee alleging discrimination in promotion decisions under the ADA. Obtaining mandamus relief from the Alabama Supreme Court for a Michigan-based manufacturer whose motion to dismiss based on the trial court’s lack of personal jurisdiction was wrongly denied. Representing an NCAA member institution (Division I) throughout the investigation/enforcement process in responding to a notice of allegations and also before the Division I Committee on Infractions and Division I Infractions Appeals Committee. Representing NCAA member institutions (Division I) in connection with internal investigations and prepared secondary violation reports. Representing NCAA member institutions (Division II and III) in connection with internal investigations and prepared summary disposition reports for the respective Committees on Infractions. Representing an NCAA coach (Division I) in responding to a notice of allegations and before the Division I Committee on Infractions. Representing NCAA athletics administrators (Division I) in connection with ongoing NCAA investigations and before the Division I Committee on Infractions. Representing multiple NCAA student-athletes (Division I) in seeking waivers of NCAA legislation.